Nearby parks include Mary H Wood Park, Sutcliff Park and Lee Park. 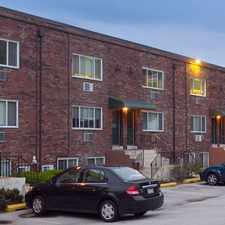 Plymouth Gardens Apartments has a Walk Score of 54 out of 100. This location is Somewhat Walkable so some errands can be accomplished on foot. WHO WOULD BELIEVE THAT A COMMUNITY THIS NICE COULD BE SO CONVENIENT AND AFFORDABLE! Located within minutes of the PA Turnpike, I-76 & I-476, Plymouth Gardens offers easy access to schools and shopping at the Plymouth Meeting & King of Prussia malls. Convenient to the SEPTA busline and train line.